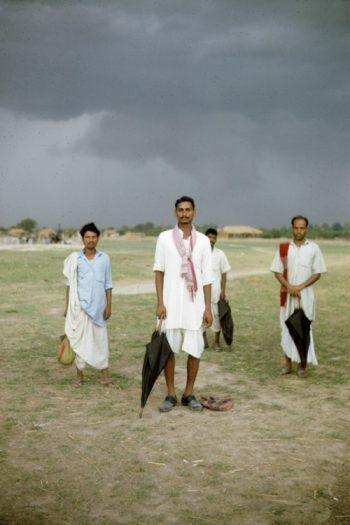 Mukunda Bahadur Shrestha became the first official photographer of the Nepal Tourism Department and spent the 70s and 80s traveling across Nepal, photographing landscapes, cultures and people presenting Nepal to the rest of the world through postcards, brochures, posters and travel magazines. 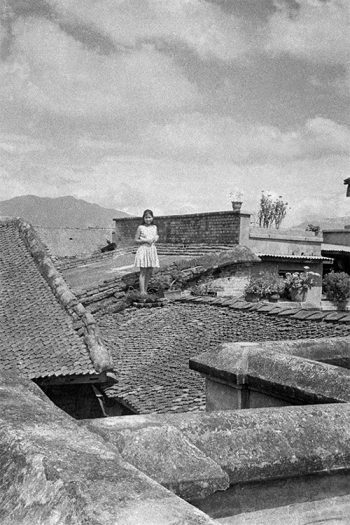 This photograph was taken in the house of Shrestha’s friend, Kedar, a high-ranking police officer and spy for the government. 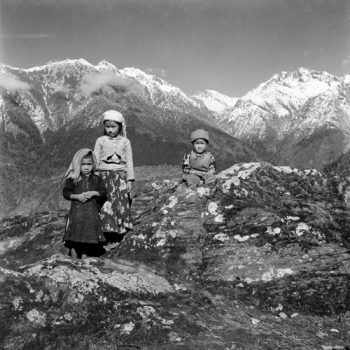 The lady featured in this photograph, who also appears in Shrestha’s other photos, is Kedar’s sister. 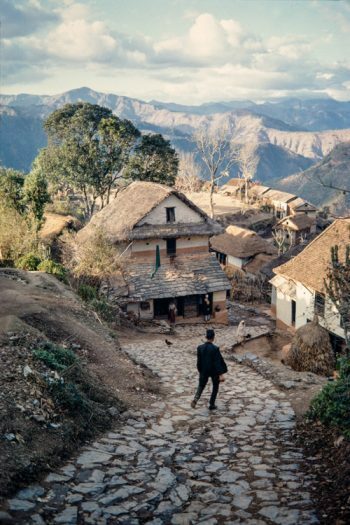 Shrestha visited their house in Jhochen to take photographs over the course of many years. 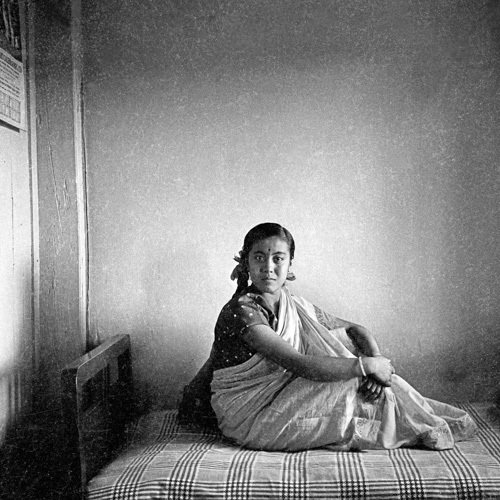 Clad in a cotton cloud-like sari with schoolgirl ribbons in her hair, her back straight, her eyes sharp, the woman on the bed is both dreamlike and clear.